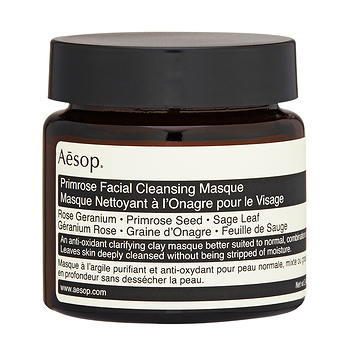 Aesop Primrose Facial Cleansing Masque has the following features: A cleansing masque containing anti-oxidants, suited to most skin types. Ideal for oily, combination or neglected skin. This clarifying clay formulation decongests and refreshes skin while delivering optimal hydration. Its inclusion of Vitamin E ensures skin isn't left stripped of moisture.